Hostelling International's The Big Blog Exchange Wins 1st Place for Marketing Innovation! 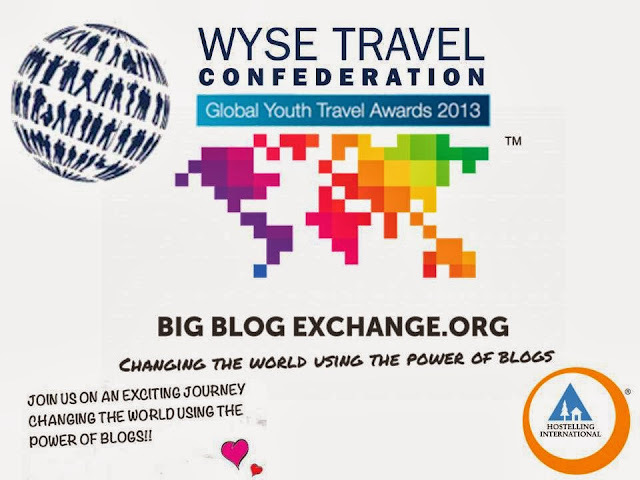 Hostelling International is pleased to announce that their project, the Big Blog Exchange, has been awarded the first place accolade for Marketing innovation in the WYSE Travel Confederation’s Global Youth Travel Awards! The Big Blog Exchange, the largest blog contest in history, was recognised as the most inspiring and innovative marketing campaign of the year with WYSE praising the campaign as creative and inspirational as well as standing out as the only campaign of its kind in the world. As you may know, the Big Blog Exchange (BBE) attracted an overwhelming response with more than 1,000 bloggers entering the competition in the hope of exchanging lives with another blogger from across the globe. 16 lucky winners were then chosen to change the world through the power of blogging, by swapping lives with each other, immersing themselves in the culture of a far-off country which they otherwise may never have considered visiting. The bloggers' stories are unique and compelling, and demonstrate that through education and global experience, they could make small changes to stop big conflicts. Their stories are unique and compelling, and have been told to the world through their own blogs and the Big Blog Exchange website.